MoMA's new installation, Rain Room by Random International—part of PS1 MoMA's Expo1 NY—is enchantingly interactive: a room featuring rain as the main element, but unexpectedly stops when it detects a figure within its realms. It employs 3D cameras to anticipate any human presence, allowing one to ponder and marvel over the interactive surrealism of the piece. So if you're in New York City, check it out: Now you can sing in the rain without actually getting wet, that is until July 28 when it ends. In the meantime, have a watch at our featured video (above). 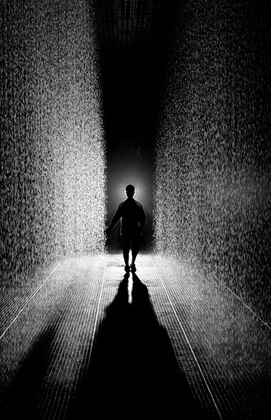 To learn more about the Rain Room by Random International at the MoMA, go HERE. And for more on the Expo1: New York's full exhibition, go HERE.